Greenville, SC – August 21, 2018 – Eight lighting solutions from Hubbell Lighting were selected for inclusion in the annual Product Innovation Award contest from Architectural SSL magazine. 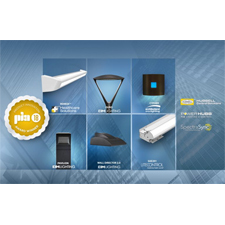 The Product Innovation Awards, or “PIAs,” honor the most innovative LED/solid-state luminaires and controls solutions on the market, while also recognizing the companies behind the components that make up these light sources. Click on the product to go to the product page. Click HERE to read the judges commentary in the August issue of Architectural SSL magazine. Construction Business Media, headquartered in Chicago, is publisher of Architectural Products, Illuminate and Architectural SSL magazines. Hubbell Lighting is elevating the lighting experience. Empowered by lighting solutions that integrate seamlessly into their environment, save energy, provide improved quality of light, deliver return on investment and armed with Hubbell’s unflinching support, its customers are able to think differently about how, where, and when they can use light. As one of the largest lighting fixture manufacturers in North America, it features a suite of brands that provide a full range of indoor and outdoor lighting products serving the commercial, industrial, institutional, and residential markets. Learn more at hubbelllighting.com and engage with the company online at LinkedIn, Twitter, Pinterest, Instagram, YouTube and Facebook.